Please note that this current website does not have a shopping cart. 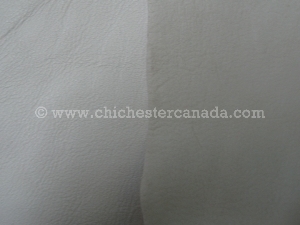 To buy our Deerskin Leather online, please go to our e-commerce website at NaturalExotics.ca. 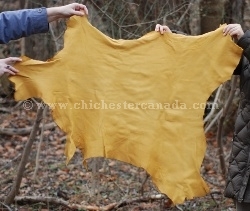 This is topgrain #1/#2 grade deerskin leather ideal for making vests, gloves, jackets, and crafts. 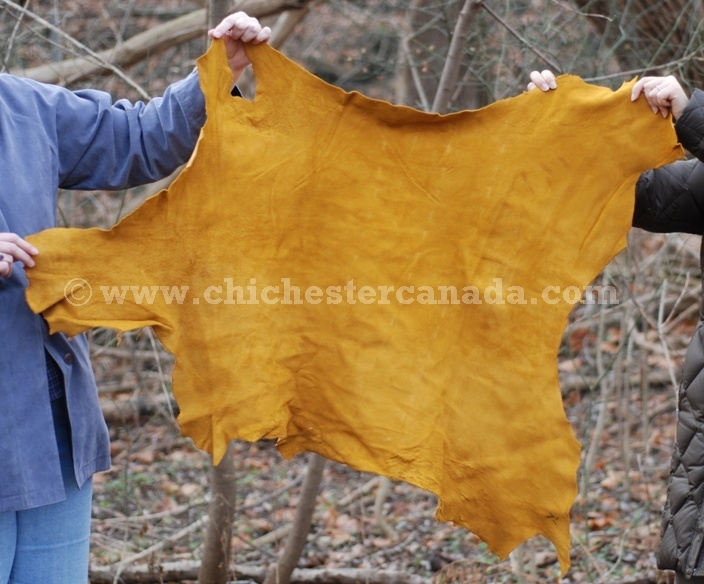 These are whole hides with some holes, blemishes, and scratches on the leather. Most of these imperfections are near the side of the skin. They come in different sizes and shapes. Each piece is different. 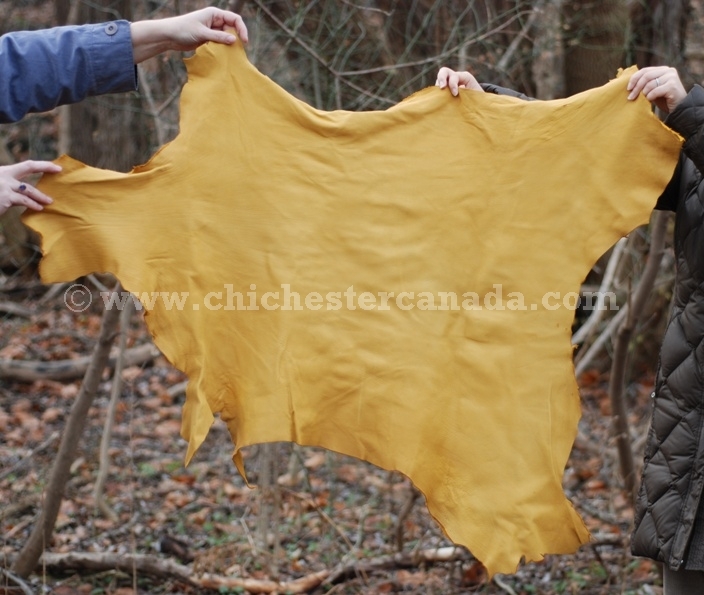 We do not cut up the hides. 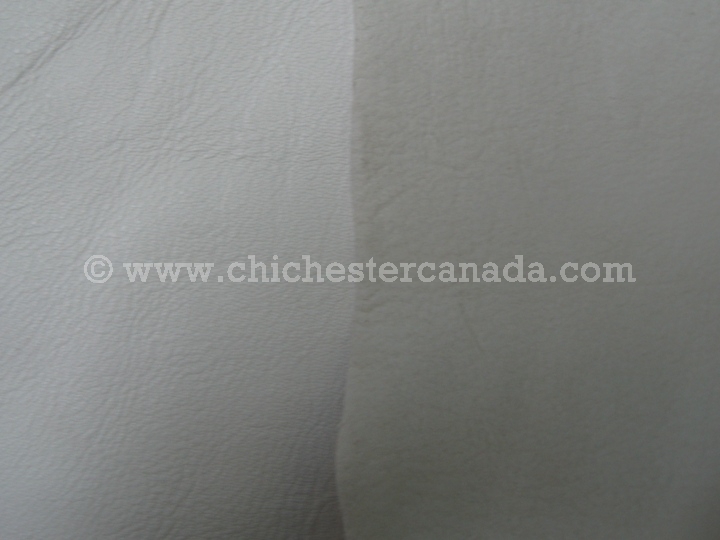 The white deerskin leather is very nice pure white in color. The weight is 2 to 2.5 ounce. 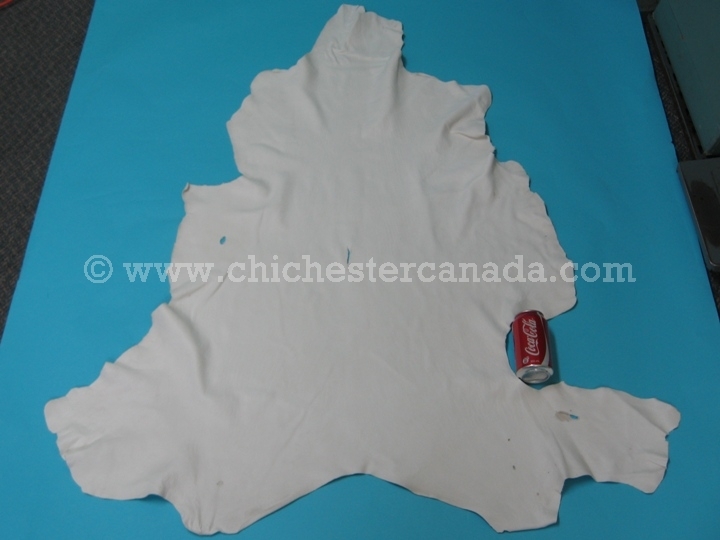 The grade is a bit lower than garment grade but a lot higher than craft grade. They average 9 to 10 sq ft per hide. The hide shown at right is 7.25 sq. 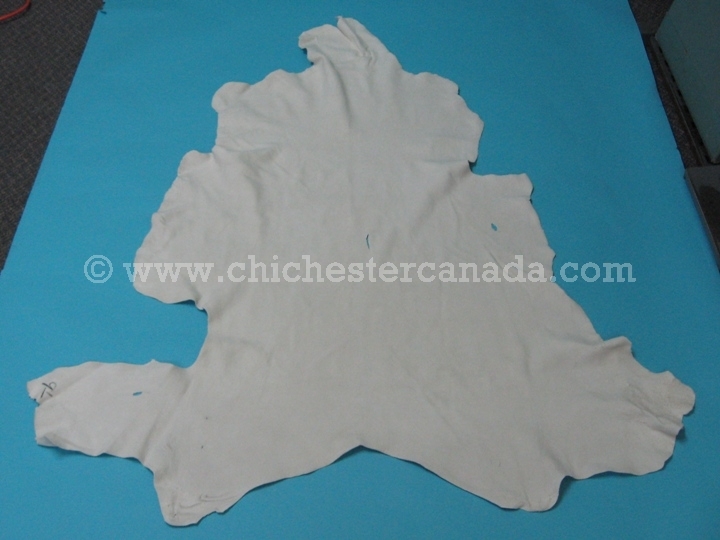 ft.
See the suede side of the deerskin. The hide shown at right is 9.25 sq. ft. and measures 113 cm long by 74 cm wide down the middle. Left is leather side and right is suede side. See the suede side with a soda can.